When the good times are over it’s hard not to be sad! I’ve just come back from a few days in Melbourne and I went on an incredible five-week trip to Europe earlier this year so I know this feeling all too well. Seeing loads of amazing places can make the boring chores when you return even more dreary. One moment you’re sailing across crystal clear water in Greece and the next you’re back in the morning traffic. Heading into the supermarket to try and find something for dinner when you’ve eaten nothing but amazing meals since you left is a bit of an anti-climax. And don’t even get me started on standing in line at the bank. One of the worst things people can ask when you return is “are you glad to be home?” Because sometimes, the answer is no. I knew I was sad but it took me a while to realise I was actually mourning my holiday. I’d been planning my trip to Europe for years and I couldn’t believe it was over. You start to second-guess everything you did. Why didn’t I enjoy the planning stage more and savour every tiny moment of the months leading up to it? 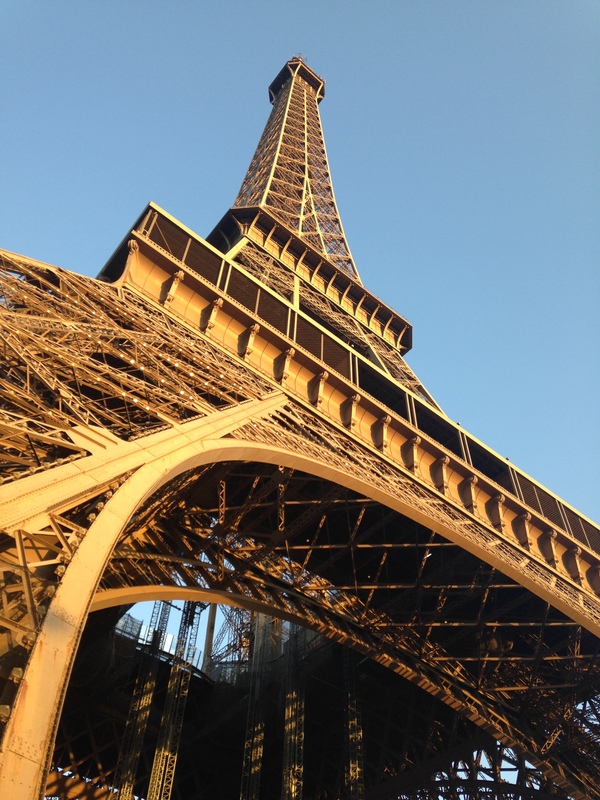 I can’t say I didn’t soak it all up while I was there because I know I did but it’s still hard to think about all the times I was jet lagged so I went to bed early instead of enjoying the Parisian summer. There’s a light at the end of the tunnel though. Here are my top tips for getting over feeling like you want to quit everything and buy a one-way ticket to a tropical island. Unpack straight away. Getting rid of that suitcase and pile of dirty washing can be therapeutic – and chances are you’ll find some nice things you’ve purchased at the same time. This is also a good time to have a clean-out because, if you’re anything like me, there’s probably no room for all of those new clothes in your wardrobe anyway. Learn from your mistakes. As you’re unpacking, check what you didn’t use to help you plan for next time, because no one likes excess baggage fees. 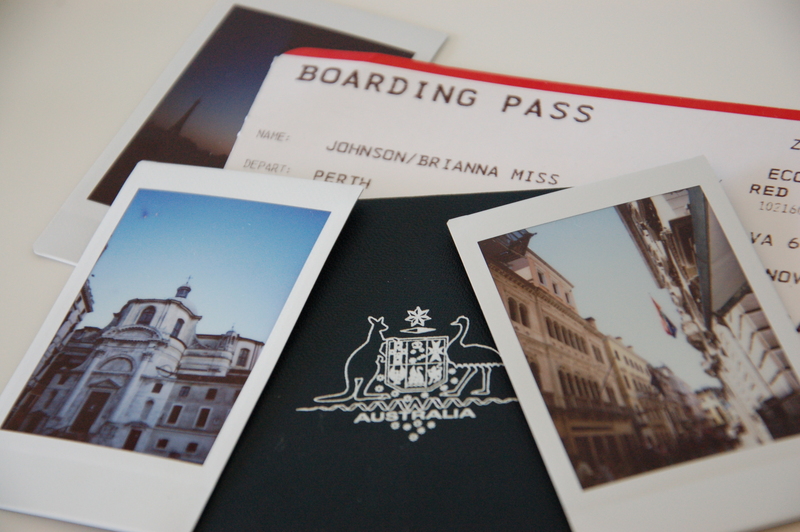 Sort out, print and display your photos. I’ll be honest, this one isn’t easy right away, but having a reminder that you really did go and it wasn’t just a dream can be comforting. Actually holding a photo in your hot little hands can make it easier to recall every detail of the scene. I took an Instax mini Polaroid camera with me and it was perfect! In the past I’ve been guilty of taking loads of photos and storing them on my computer for years. What a waste! I recently placed an order through an app run by a Sydney couple called Origrami. It lets you print photos from your Instagram feed and phone photo roll and posts them to your house. Easy! See my review here. Go nuts on Tripadvisor. Loved a place? Really wish you’d been warned there was a school full of screaming children near your hotel? (Yes, this happened in Paris. I can only imagine it was a sports carnival because the cheering went on ALL DAY.) This is a great way to tell everyone about it. Save them from making the same mistakes, or let them on a well-kept secret. Look into being a tourist in your own state. The travel bug can be soothed with a bit of exploring that won’t damage your credit card any more than it already has been. Think of all the people and things your home has that you can’t find anywhere else in the world. If you’ve got good friends to help you numb the pain with fast food and wine, that’s worth coming home to. And lastly but most importantly, PLAN ANOTHER TRIP. Never stop exploring. What are your tips for getting over post-holiday blues? Let me know in the comments! THIS is what I left behind! 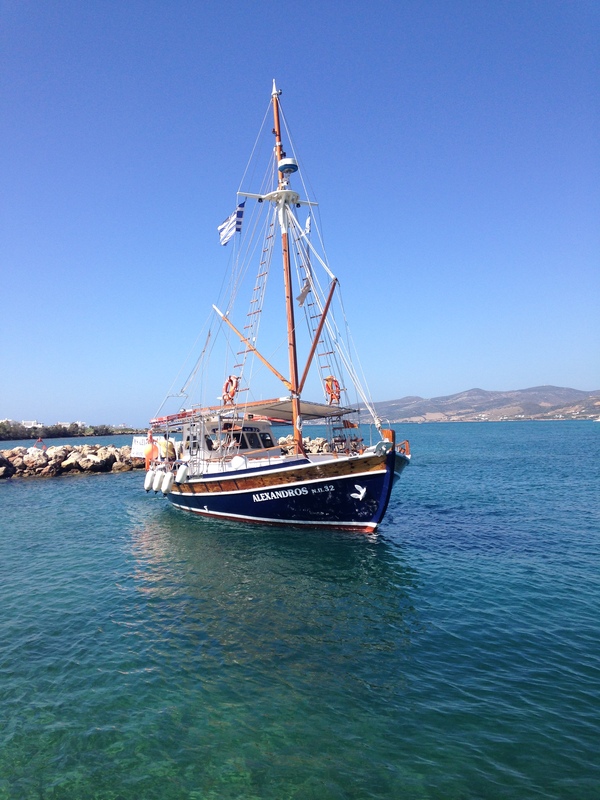 Spent an incredible day sailing on this off the coast of Paros, in the Greek Islands. Oh, Paris! There’s nothing quite like it. This is really great advice! I’ve definitely dealt with this before after taking an incredible trip and coming back to my small hometown. It’s always hard! Thanks Kelsey! Its refreshing to know it isn’t just me!